Be flexible. Flexibility is a necessary complement to good planning. Sometimes new information comes to light or situations change, even during the middle of a meeting. Good leaders take advantage of changing situations and adapt whenever necessary. Solicit input. The best meetings are a collaboration of the best ideas in the room. Be prepared to ask open-ended questions, listen, and clarify for the sake of the group. Surface conflict. Not everyone will voice his or her concern or opposition to a decision. A good leader will find ways to bring divergent opinions and disagreement to the surface so that it can be dealt with. This is one way to encourage buy-in and support moving forward. Clarify next steps. Whether its further research, a follow-up meeting, or a phone call, every meeting can be improved by clarification. Make sure that everyone knows what is happening next and who is responsible for each step. 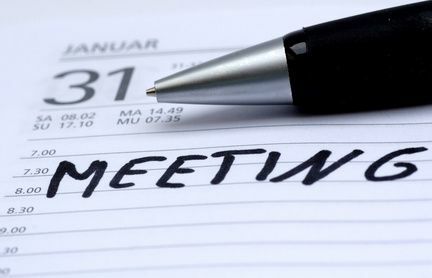 What other tips would you share with church leaders who want to improve the productivity of their meetings.? This entry was posted in Church life, Deacon, Leadership, Pastor and tagged communication, conflict, flexibility, meetings, people, planning. Bookmark the permalink.